Medicare and many health insurance companies pay hospitals using DRGs, or diagnostic related groupings. This means the hospital gets paid based on the admitted patient’s diagnosis rather than based on what it actually spent caring for the hospitalized patient. If a hospital can treat a patient while spending less money than the DRG payment for that illness, the hospital makes a profit. If, while treating the hospitalized patient, the hospital spends more money than the DRG payment, the hospital will lose money on that patient’s hospitalization. This is meant to control health care costs by encouraging the efficient care of hospitalized patients. If you’re a patient, understanding the basics of what factors impact your DRG assignment can help you better understand your hospital bill, what your health insurance company or Medicare is paying for, or why you’ve been assigned a particular DRG. If you’re a physician rather than a patient, understanding the process of assigning a DRG can help you understand how your documentation in the medical record impacts the DRG and what Medicare will reimburse for a given patient’s hospitalization. It will also help you understand why the coders and compliance personnel ask you the questions they ask. This is a simplified run-down of the basic steps a hospital’s coder uses to determine the DRG of a hospitalized patient. This isn’t exactly how the coder does it; in the real world, coders have a lot of help from software. Determine the principal diagnosis for the patient’s admission. Determine whether or not there was a surgical procedure. Determine if there were any significant comorbid conditions or complications. A comorbid condition is an additional medical problem happening at the same time as the principal medical problem. It might be a related problem, or totally unrelated. Let’s say elderly Mrs. Gomez comes to the hospital with a broken femoral neck, known more commonly as a broken hip. She requires surgery and undergoes a total hip replacement. While she’s recovering from her hip surgery, her chronic heart problem flares up and she develops acute systolic congestive heart failure. Eventually, her physicians get Mrs. Gomez’s heart failure under control, she’s healing well, and she’s discharged to an inpatient rehab facility for intensive physical therapy before going back home. Mrs. Gomez’s principal diagnosis would be a fracture of the neck of the femur. Her surgical procedure is related to her principal diagnosis and is a total hip replacement. Additionally, she has a major comorbid condition: acute systolic congestive heart failure. The principal diagnosis must be a problem that was present when you were admitted to the hospital; it can’t be something that developed after your admission. This can be tricky since sometimes your physician doesn’t know what’s actually wrong with you when you’re admitted to the hospital. For example, maybe you’re admitted to the hospital with abdominal pain, but the doctor doesn’t know what’s causing the pain. It takes her a bit of time to determine that you have colon cancer and that colon cancer is the cause of your pain. Since the colon cancer was present on admission, even though the physician didn’t know what was causing the pain when you were admitted, colon cancer can be assigned as your principal diagnosis. Although this seems cut and dry, like most things about health insurance and Medicare, it’s not. There are a couple of rules that determine if and how a surgical procedure impacts a DRG. First, Medicare defines what counts as a surgical procedure for the purposes of assigning a DRG, and what doesn’t count as a surgical procedure. Some things that seem like surgical procedures to the patient having the procedure don’t actually count as a surgical procedure when assigning your DRG. Second, it’s important to know whether the surgical procedure in question is in the same major diagnostic category as the principal diagnosis. Every principal diagnosis is part of a major diagnostic category, roughly based on body systems. If Medicare considers your surgical procedure to be within the same major diagnostic category as your principal diagnosis, your DRG will be different than if Medicare considers your surgical procedure to be unrelated to your principal diagnosis. In the above example with Mrs. Gomez, Medicare considers the hip replacement surgery and the fractured hip to be in the same major diagnostic category. A lower-paying DRG for the principal diagnosis without any comorbid conditions or complications. A medium-paying DRG for the principal diagnosis with a not-so-major comorbid condition. This is known as a DRG with a CC or a comorbid condition. A higher-paying DRG for the principal diagnosis with a major comorbid condition, known as a DRG with an MCC or major comorbid condition. If you’re a physician getting questions from the coder or the compliance department, many of these questions will be aimed at determining if the patient was being treated for a CC or MCC during his or her hospital stay in addition to being treated for the principal diagnosis. If you’re a patient looking at your bill or explanation of benefits and your health insurance company pays for hospitalizations based on the DRG payment system, you’ll see this reflected in the title of the DRG you were assigned. 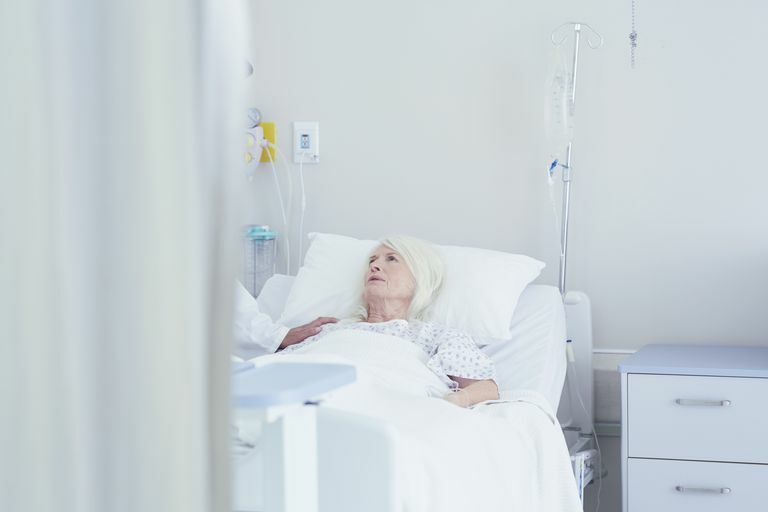 A DRG title that includes “with MCC” or “with CC” means that, in addition to treating the principal diagnosis you were admitted for, the hospital also used its resources to treat a comorbid condition during your hospitalization.